US Airways Joins Oneworld on March 31 – Book Your Star Alliance Partner Flight Now! If you’re a member of Dividend Miles, the frequent flyer program operated by US Airways, an important deadline is approaching: On March 31, US Airways is leaving Star Alliance and moving to oneworld. This could have a big impact on how you can earn and redeem your Dividend Miles for the future, but it also means you’ll need to act fast if you’re planning a trip and want to use your Miles to book with a Star Alliance member that won’t be maintaining its partnership with US Airways. These include big carriers such as Air Canada, Lufthansa, SWISS and United, as well as many others. 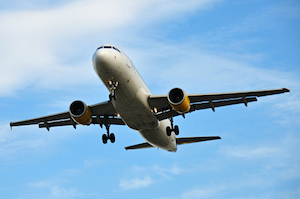 If you’ve saved up your Miles to book a vacation with one of these airlines, you’ll have to do so by March 30, 2014. In short, airline alliances are formed when a few airlines agree to pool certain resources. There are good business reasons for airlines to participate in alliances, but the big benefit to customers is that frequent flyer miles earned on one partner airline can typically be redeemed on another. For example, since Air Canada and United are in the same alliance, miles earned on an Air Canada flight can later be used to pay for a ticket with United. Obviously, this provides a lot of convenience for people who fly a lot. Travel hackers also love the opportunity to get the best bang out of the miles they build up by redeeming at high-value partners. As of March 2014, there are three major airline alliances: oneworld, SkyTeam and Star Alliance. Star Alliance is the largest, with 28 members; oneworld is the smallest, with 13. US Airways is moving from Star Alliance to oneworld because it recently merged with oneworld founder American Airlines. Although the change didn’t take effect right after the merger became official at the end of 2013, the deadline is now upon us. On March 31, 2014, US Airways will no longer be a part of Star Alliance and will be operating within oneworld’s partnership. This means that if you travel on a US Airways flight on March 30, you’ll be earning miles as a Star Alliance member, but on March 31, you’ll be earning as a oneworld member. How will US Airways joining oneworld impact me? Many travel enthusiasts were unhappy to learn about US Airways’ jump to oneworld for a simple reason: oneworld has substantially fewer partner airlines than Star Alliance, which means that people who like to shuffle frequent flyer points between member airlines now have a more limited number of partners to choose from. Although the network of partner airlines that US Airways is now a part of is smaller than Star Alliance’s, there is some good news—US Airways will hold onto some of its former Star Alliance partners, including Air China, South African Airways and Turkish Airways, despite official membership in oneworld. This puts US Airways in the position of maintaining partnerships with airlines operating in two of the three major alliances, giving customers added flexibility when booking travel. At the moment, US Airways and American Airlines will maintain separate frequent flyer programs. This is expected to change, but if you’re comfortable with the Dividend Miles program, you won’t have to deal with major adjustments to it just yet. Still, if you were thinking about using your Dividend Miles to travel with a Star Alliance partner that won’t be retained when US Airways moves to oneworld, you’ll need to do so before March 31, 2014. Also, if you use your Dividend Miles to book with a non-retained Star Alliance partner and then need to change your plans after March 30, you won’t be able to do so without incurring a big fee for buying your Dividend Miles back. In other words, if you’re scrambling to book an award flight with a Star Alliance partner before the March 31 deadline, be sure it’s a ticket you’re sure you’ll keep, otherwise you could get hit with a big fee for changing it later. Limited time oneworld bonus—get up to 25,000 miles! Remember that after March 31, 2014, you’ll be able to use your Dividend Miles to fly with any oneworld member. This bonus is a great opportunity to earn extra miles toward future travel. The bottom line: US Airways is moving to oneworld on March 31, 2014. This means that you have until March 30, 2014, to book with Star Alliance partners that won’t be held onto when US Airways makes the switch. Since the airline is leaving behind some major partners, like Lufthansa, SWISS and United, check your travel plans carefully and book before March 31, 2014, to use your Dividend Miles with the Star Alliance partner of your choice!